Early morning the background is silhouetted against the sky. 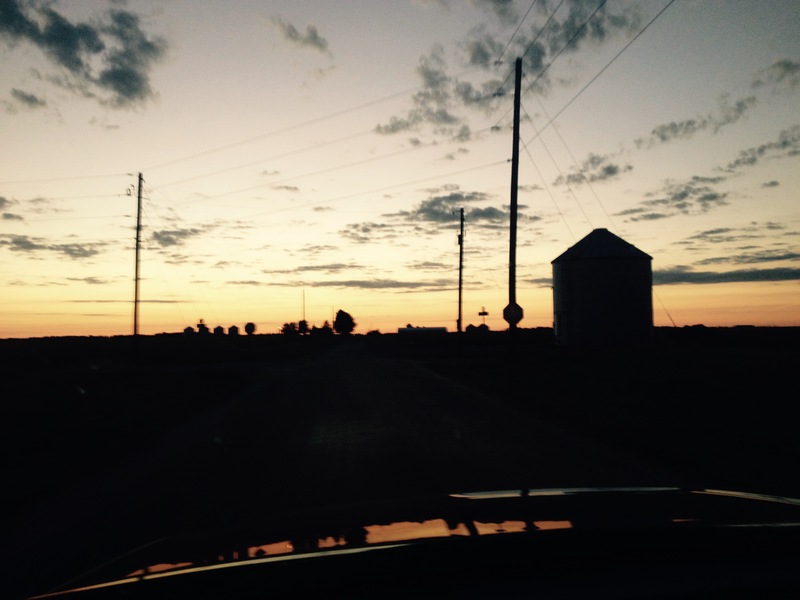 Whether at home or on the road I love to see the sunrise and sunset. This picture was taken getting ready for my early morning walk. With the farmer’s in the fields now the view is changing daily as the corn and soybeans are harvested. Everything is still and at this moment I feel like I can talk to God and almost touch Him. Next Post: Event planning for the holidays – start now!